Welcome to Controls Service & Repair Inc., the industrial electronics company that you will actually enjoy working with. Controls Service & Repair, Inc. takes pride in our personal attention given to each and every customer. When you call us for troubleshooting, repair of your motion control equipment, new parts or field service you will always get a live person, not a machine. We stock circuit boards, drives, servo motors, and motor parts for Powertron, Contraves, Pacific Scientific, Baldor and Koll Morgen to name a few. We can also assist in finding or repairing those hard to find parts. Controls Service & Repair Inc. specializes in servo motor repair and replacement and work on almost all servo motors and their associated feedback devices, (i.e. tachometers, resolvers, encoders, etc...). Should you require information or assistance on specific models, please give us a call. We look forward to working with you. Drives are available in various configurations from fractional horsepower and servo drives to giant 500 horsepower brutes. We offer repair and replacement options to suit your individual and unique application requirements. 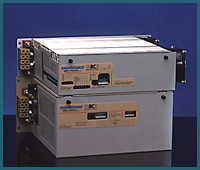 In addition to manufacturing our own line of DC SCR drives, we offer repair and replacement options on AC and DC servo drives, VFD's and SCR drives. We stock over 1000 complete drives and circuit boards for immediate shipment specializing in Contraves, Powertron, and Eurotherm. We also repair drives from hundreds of manufacturers. Please see our supported drive manufacturers list, click here. 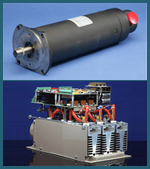 The heart and soul of the motion control industry are the motors that power the applications. Motor failure and downtime produce a difficult and costly situation for your production schedules and deadlines. 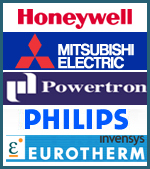 Controls Service & Repair provides a multitude of options relating to AC and DC servomotors. In addition to building our own, our exceptional repair/manufacturing facility can service and repair many manufacturers products including armature rewinding, tachometer repairs, encoder repairs, resolver repairs, field shell and rotor magnetization, etc. We can also build specialized feedback packages for your specific application. 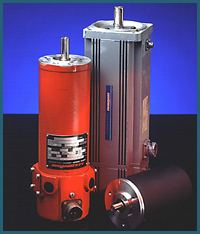 To see a representative sample of supported motor manufacturers, click here. When your production line stops, you lose more than just the cost of repairs. You lose the wages of idle workers, you encounter the disruption of related operations, and you lose business and customer goodwill. We can help minimize these losses by providing sales and repair options that fit both your budget and your time requirements. We offer standard repair, rush repair, exchange, reconditioned units, replacement units (new), etc. For a complete explanation of the various options, click here. Typically original equipment manufacturers (OEM's) replacement parts are cost prohibitive. There are a great number of spare parts, and electronics companies producing original specification material at much less cost. By cross referencing original part numbers to other producers part numbers, we are able to support OEM's and manufacturers at much less cost. For a comprehensive list of supported OEM's and manufacturers, click here. Well-versed, fast, reliable field service personnel are available for on-site diagnosis and repair of troublesome and critical production operations. Consider scheduling several training workshops for maintenance personnel to position them for problem solving in the future. 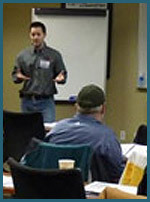 For more on field service and training, click here.